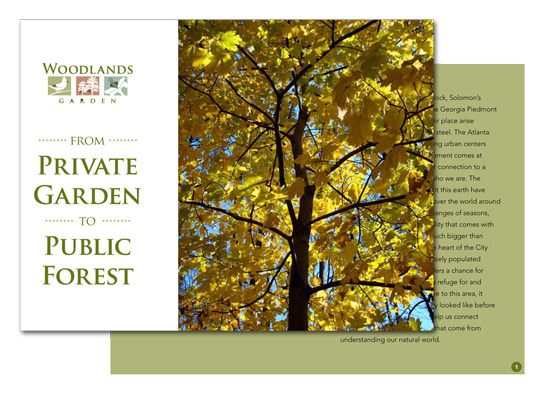 We worked with Woodlands Garden on a capital campaign case statement, fundraising letters, and grant proposals. 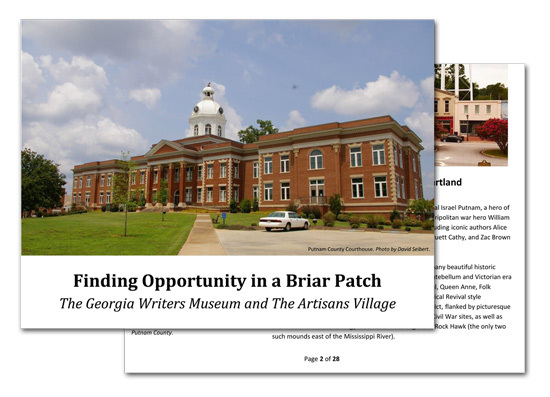 We worked with Barbara Howell & Associates to create a case statement for the Briar Patch Arts Council capital campaign. 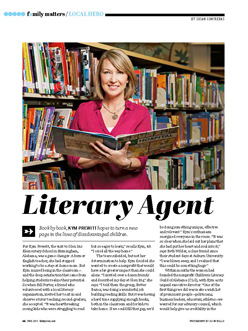 Click any article image for the full PDF. 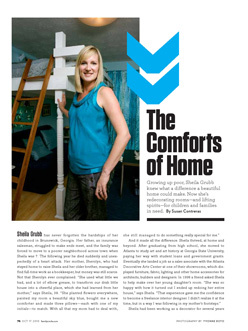 Contributing Editor Susan Contreras pitched, researched, and wrote three “Local Hero” columns for Family Circle. 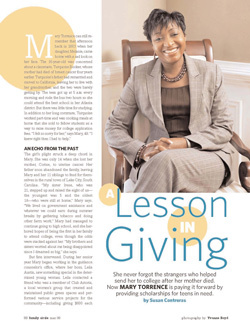 The “Local Hero” column features individuals who have taken action to help improve their communities, often by founding small non-profits. 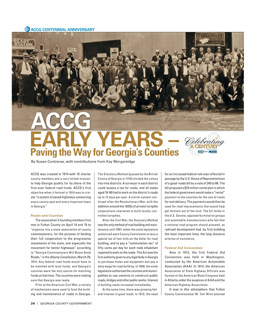 Drawing from archives, publications and selected interviews, we wrote ACCG's 100-year history, plus a story of how county governments made life better for their citizens. 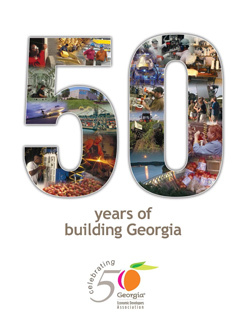 Georgia Economic Developers Association (GEDA) "50 Years of Building Georgia"
Contributing Editor Susan Contreras wrote an overview of 50 years of economic development in Georgia, and the role of GEDA in those successes. Click any image for the full PDF. 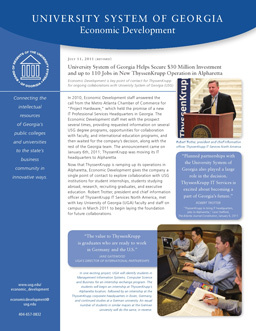 Contributing Editor Susan Contreras spent many years writing for the University System of Georgia’s Office of Economic Development (formerly known as ICAPP). 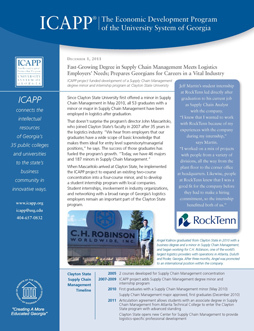 Above are three one-sheets she wrote to promote program achievements.